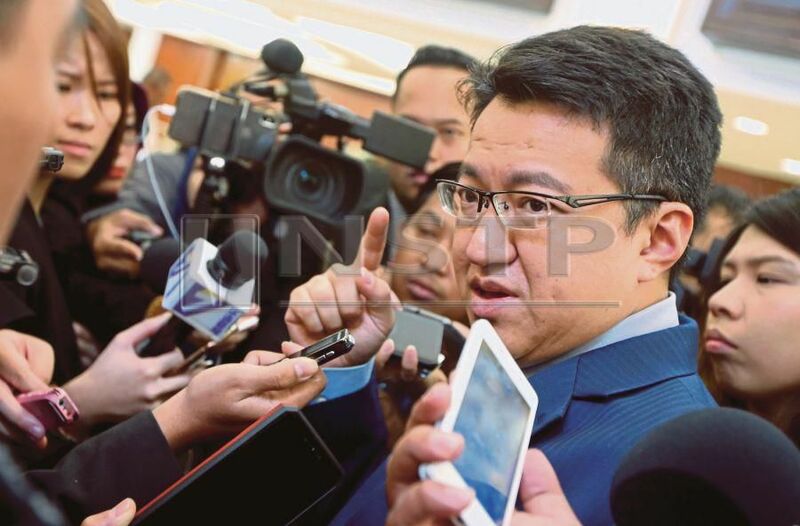 KUALA LUMPUR: The National Security Council (NSC) did not issue any “initiating directive” to deploy Malaysian military troops in Op Yemen 2, said Deputy Defence Minister Liew Chin Tong. Disputing Hishammuddin’s statement on Wednesday that the humanitarian operation was led by the council as it was a matter of national security, Liew said NSC never issued such directive. "After a review, we found out that NSC did not issue any 'initiating directive'. "When an operation needs to be carried out, it requires an ‘initiating directive’ from the NSC or in this case, the military top brass,” he said. Liew said he was disappointed that former Defence Minister Datuk Seri Hishammuddin Hussein was absent from the Dewan Rakyat to go through the case. "I was disappointed that former defense minister was not present today, as he said NSC had made a decision. However, there had been no 'initiating directive' in writing from the Cabinet or the NSC. "I would like to request if it’s possible for the former defence minister to come to Dewan Rakyat so that we can discuss on this serious issue,” he said. He said this in his winding-up address for his ministry for Budget 2019 in Parliament on Thursday. Liew said the Defence and Home Affairs Committee was set up to identify whether the operation was in compliance with government procedures. He said the new Parliamentary standing committee was set up to study the movements of the troops and the assets of the Malaysian military that were allegedly not approved by the Cabinet. "This is the first task of the committee and the ministry will give its full cooperation in the investigation. "We aim for a transparent investigation so that it will not recur in the future. On Monday, Liew claimed that Hishammuddin did not receive cabinet approval for the military's role in Op Yaman 2. The soldiers were tasked with flying in 12 missions, transporting equipment, bullets and explosives for the Arab Alliance which is engaged in a devastating war with Houthi rebels in Yemen.